The tax cap effect was on full display in yesterday’s school district budget voting. School budgets were approved at a record-high rate of 99.3 percent, adding to evidence that districts can live within a property tax cap set at either 2 percent or the prior year’s average rate of inflation, whichever is less. A budget overriding the cap requires approval by a supermajority of at least 60 percent of district residents voting. Only five* out of 669 budgets were defeated in Tuesday’s voting, according to a review of regional news reports, down from 10 last year and nine in 2015. Every budget on Long Island was approved for the first time since 1996, when budget votes began being held on the same day, Newsday reported. Nine** of the 12 districts that yesterday sought to override the property tax cap were successful, a rate on par with the 28 overrides that initially prevailed last year out of 36 attempts. It was the lowest number of override attempts since budgets became subject to the cap in May 2012. School districts statewide sought a weighted average tax increase of 1.7 percent. By comparison, between 2001 and 2004, school budget votes sought hikes averaging more than 7 percent four years in a row. 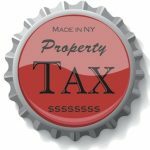 The new paradigm of lower tax increases and higher voter approval stems directly from the 2011 property tax cap enacted at Governor Andrew Cuomo’s urging. Voters are, not surprisingly, more apt to approve school budgets that aren’t rising faster than voters’ ability to fund them. In place of the old endless cycle of school budget re-votes and re-re-votes, the tax cap law allows school boards to re-submit a budget to voters only once after it fails to gain approval. If a budget also fails to win passage in a second submission, the district tax levy is frozen at the prior year’s rate—a prospect that has given school boards a big added incentive to avoid excess. The tax cap is balancing the need to restrain property tax increases with local control, allowing districts to override simply by persuading an extra 10 percent of voters that it’s appropriate. Pressure to this year seek an override was lower because state lawmakers and the governor once again opted to let districts gorge on additional school aid instead of providing them with the tools to restructure costs. Tax caps were also much looser for 2017-18 than for the previous year, as district tax caps were based on 1.26 percent inflation instead of 0.12 percent, reflecting the CPI growth being higher in 2016 than in 2015. School districts are also enjoying lower pension costs following a reduction in employer contribution rates to the state Teachers Retirement System. The contribution rate dropped 1.5 percentage points; in a typical district where teacher salaries make up 60 percent of total expenditures, the pension adjustment alone will boost available resources by 0.5 to 1 percent next year. And the districts that presented budgets yesterday are together educating 4,352 fewer students next year, a 0.3 percent decline in enrollment on the heels of a 0.6 percent drop last year. Yesterday’s results are a good reminder that the property tax cap is achieving its fundamental goal of bending the curve of ever-upward growth in the largest component of New York’s high local property taxes. Proposals to weaken the cap, on the other hand, by removing the inflation component, adding exclusions or lowering the threshold for overrides will reverse that progress and inevitably lead to one thing: even higher property taxes. 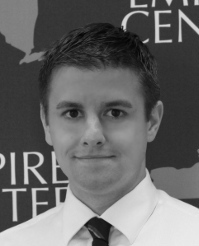 *The rejected budgets were Pittsford [Monroe], East Ramapo [Rockland] and DeRuyter [Madison], which sought to override their caps, and Hinsdale [Cattaraugus] and Putnam [Washington], which did not. **A tenth budget, in East Ramapo, was rejected by 87 percent of voters due to hyperlocal circumstances, which would have doomed whether it needed 50 or 60 percent. Excluding East Ramapo, yesterday’s override votes succeeded in 83 percent of districts that sought them, another record high. NY's property tax cap has led to lower school tax hikes and fewer school budgets being rejected.